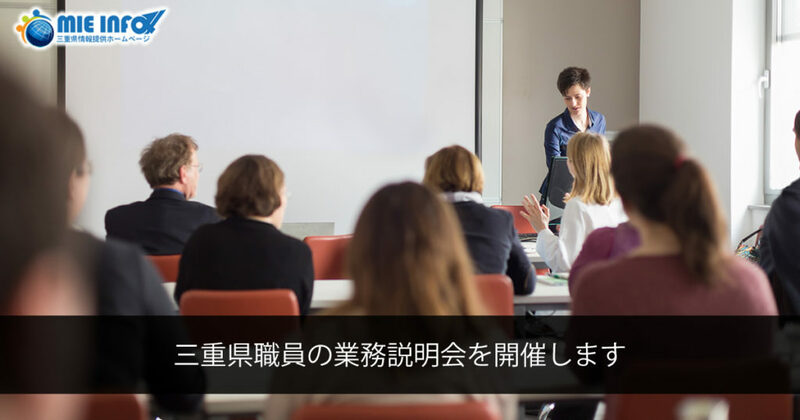 For students who are considering taking the Mie prefectural officials and police officers recruitment exams and for those who are wondering about future occupation, this meeting will explain the workflow and the atmosphere of the workplace. For those who would like to work as Mie prefecture’s official or a police officer in the future, and for those who are interested in civil service work, please do not hesitate to join us. ※Mie prefecture official recruitment examination can also be taken for those who do not have Japanese nationality. However, some test categories require Japanese nationality. ※The reception is from 9 am to 5pm from Monday to Friday, excluding weekends and holidays. ※Reception will end as soon it reached the capacity (12 people). ※Both explanatory sessions, materials, explanations and inquiries etc. are all done in Japanese only.